We are proud to display our accreditation for our UK-based laboratory, our DNA testing, drug testing and alcohol testing services. AlphaBiolabs has been honored by the Queen for offering the fastest DNA tests in the world. 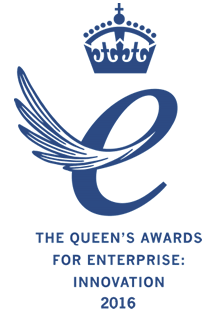 AlphaBiolabs has won a Queen’s Award for Enterprise in Innovation for its efficient DNA testing services which offer accurate results the next working day. The Queen’s Award scheme is regarded as the UK’s most prestigious business awards and winners are invited to a special reception at Buckingham Palace in July. We are delighted to have won a Queen’s Award for Enterprise and so pleased that our efforts to offer fast, accurate DNA testing have been recognised. We offer results the next working day as standard and same day DNA testing which is the fastest in the world. The typical turnaround for other laboratories is between 3 and 5 working days, while some of our competitors take even longer as they send samples off to overseas labs. All our testing is carried out in-house at our accredited UK laboratory, which means we can deal with samples quickly and efficiently. AlphaBiolabs is accredited by the Ministry of Justice to carry out parentage tests as directed by the Civil courts in England and Wales under Section 20 of the Family Law Reform Act (1969). AlphaBiolabs complies with the guidance provided in ‘A Common Framework of Principles for direct-to-consumer genetic testing services’ issued by the Human Genetics Commission in August 2010 to ensure that we provide testing in an accurate, confidential and ethical manner. Our standard operating procedures also conform to the guidelines set out by the International Society of Forensic Genetics (ISFG). 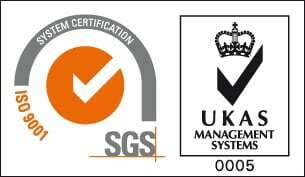 Accreditation by UKAS means that evaluators (testing and calibration laboratories, inspection and certification bodies) have been assessed against internationally recognised standards to demonstrate their competence, impartiality and performance capability. UKAS Accreditation demonstrates the competence, impartiality and performance capability of these evaluators. ISO 9001 is the internationally recognised standard for the quality management of businesses. It applies to the processes that create and control the products and services an organisation supplies. It prescribes systematic control of activities to ensure that the needs and expectations of customers are met. It is designed and intended to apply to virtually any product or service, made by any process anywhere in the world. ISO 17025 is the internationally recognised standard for Testing and Calibration Laboratories. The standard contains all of the requirements that Testing and Calibration Laboratories have to meet if they wish to demonstrate that they operate a quality system, are technically competent and are able to generate technically valid results. ISO 17025 is the only standard to address all of these issues. Laboratories accredited to this standard are able to provide their clients with a measurable level of assurance. 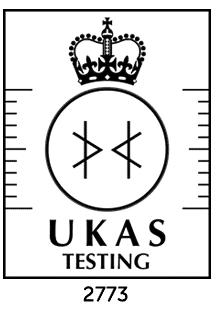 UKAS is the sole national accreditation body recognised by government to assess, against internationally agreed standards, organisations that provide certification, testing, inspection and calibration services. RISQS (previously known as Link-up) is the UK rail industry audit scheme for suppliers of safety-critical products and services that have achieved successful qualification. RISQS enables suppliers to go through a single audit process that has been designed and agreed by multiple rail organisations. AlphaBiolabs is fully RISQS qualified via audit, enabling us to provide drug and alcohol testing services to the UK rail industry. AlphaBiolabs is a member of the Association of Equality Scheme Providers (AESP). The Association of Equality Scheme checks that an organisation’s policies and practices meet the AESP National Equality Framework (NEF) standard requirements. 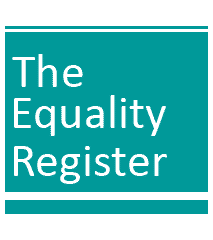 For more information about the Association of Equality Scheme Providers, please visit their website here.